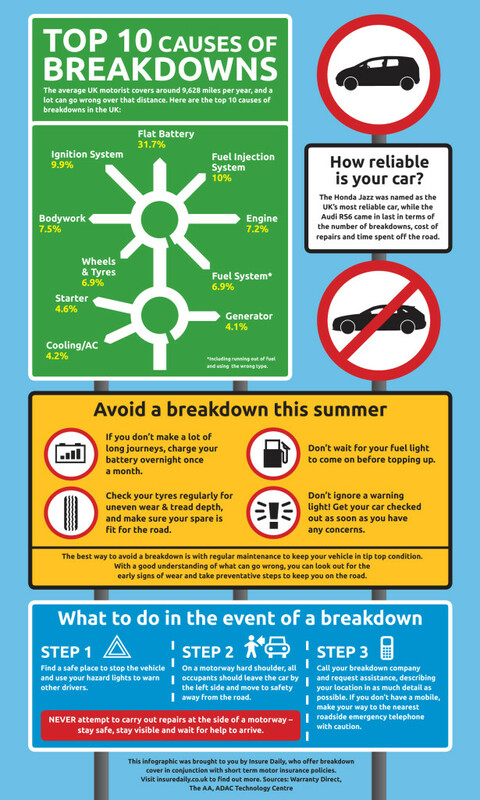 All motorists will, at some point, experience what it feels like to breakdown in their car at some point in their lives – not to mention the costs and legalities! Knowing what to do when you have an accident and breakdown can be quite overwhelming so its always good to know what to do, as well as the consequences. If you breakdown, it is essential that you act accordingly. If there is another motorist involved, make sure you swap insurance details and contact details should there be further action required. If you have breakdown cover, get in touch with your providers and they will be able to direct you as to your next steps.